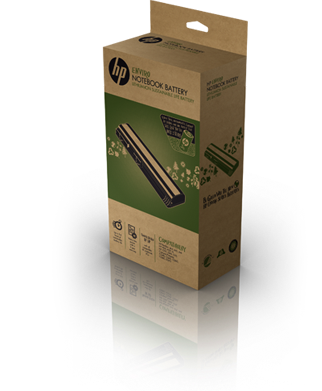 Those Boston Power batteries guaranteed to keep performing at high levels for three years can now be purchased as an add-on on 18 of HP's laptops, branded "Enviro." In the press release, Boston Power isn't touting some of the specs we've seen previously, like a 30-minute charge up to 80% or actual extended charge cycles; rather, they're playing up the fact that these batteries will preserve their abilities to hold a charge far longer than others (3 years). HP's even including a three-year warranty on the batts, which is nice. They'll run $150 now as a replacement battery, and should be available as a build-to-order option for new laptops later this month. WESTBOROUGH, Mass. – March 16, 2009 – Boston-Power's longer lasting, Ecolabel-certified battery technology, Sonata, is available to consumer notebook PC customers starting today via HP. New HP batteries based on Sonata technology are available as accessories for 18 existing notebook models representing approximately 70 percent of HP's consumer notebook PC portfolio. Now available at www.hpshopping.com, the new HP battery based on Sonata is available as an accessory priced at $149.99. Later this month, the HP battery will be available as a point-of-sale option for consumers buying new HP notebooks at www.hpshopping.com. The battery's "drop-in" form factor enables it to be used with existing computers – including models in the HP Pavilion, HP HDX, Compaq Presario and HP G series. A complete list of compatible individual models is available at http://www.shopping.hp.com/store/product/product_detail/NH493AA%2523ABA. More information can also be found on Boston-Power's site at http://www.boston-power.com/enviro. "From the beginning, our goal has been to help notebook computer users benefit from optimal mobility with dependable, high-performance, environmentally sustainable batteries," said Boston-Power Founder and CEO Dr. Christina Lampe-Onnerud. "HP's endorsement of Sonata is a great step forward in popularizing this battery technology." gives PC users longer lasting batteries that improve their computing experience while reducing the number of batteries that need to be recycled. That's a win for everyone." Boston-Power is the first and only provider whose rechargeable Li-ion battery cells have earned the prestigious Nordic Ecolabel certification. The company has additionally earned a similar world's-first certification for its battery cells from the Chinese Environmental Protection Agency. Sonata's patent-pending, whole-system design makes it capable of benefiting a wide range of end-applications – from consumer electronics to transportation. As a result, total cost of ownership benefits inherent in notebook computer batteries prove increasingly impressive in cases where even greater power is required.